Women And Children first a lower tier Van Halen album? Back in Black, no contest. 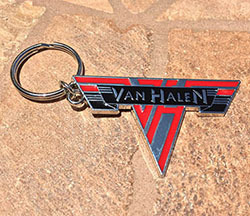 I love WACF, it’s got some of my favorite Van Halen songs on it. To say it’s better than a nearly perfect album is just not accurate, for me at least. There are seven songs I regularly listen to from BIB. There are maybe two or three from WACF. BIB is a great album...... No one is debating that. As for the deeper cuts. I do really like What do you do for Money Honey. Given the Dog a Bone is solid. LMPMLIY is great, Angus rips that solo. I guess Shake a Leg is the weakest track? BIB is awesome. The 2 tracks on which I am totally burned out are the title track and You Shook Me All Night Long. WACF is a flawless album. I love AC/DC, they are one of the very best at what they do. But let's face it, it's pretty much paint by numbers rock n roll, especially with regards to the rhythm section. I’d actually say LMPMLIY is probably weaker than Shake A Leg, but it kind of goes back and forth for me. I can’t disagree with any of this. WACF is my number two VH album, butl I still think Back in Black is a stronger album as a whole. I agree about the rhythm section, but I think it serves its purpose. I don’t want to hear Alex Van Halen drumming for AC/DC, it wouldn’t work. That said, if the comparison was For Those About To Rock vs. Fair Warning, the latter wins in a landslide. FW is flawless. Back in Black is a classic, but Women and Children First was the album that made me a Van Halen fanatic so it holds a soft spot in my heart. It's the album where Van Halen became arena rock kings. W&CF ranks 5th in the 6 pack and 9th overall among the 12 studio albums IMO. I love a few of the tracks but when I first owned this album it was 1989 it was far removed from the VH I knew well. Years later I see it’s got a cult status within the VH community but I always like the two albums before it and one after it much more. 84 wouldn’t even come close to BIB. Few hard rock records will. If any. I love drums and guitar... pretty easy WACF! Not even close! No argument here. But this matters why? Does that influence your personal answer? If it does then using that logic would mean any Taylor Swift album, for example, beats any VH album too.